Today I spend about one hour debugging weird problem. When I migrated physical machine into VMWare I couldn’t connect via RDP into it. 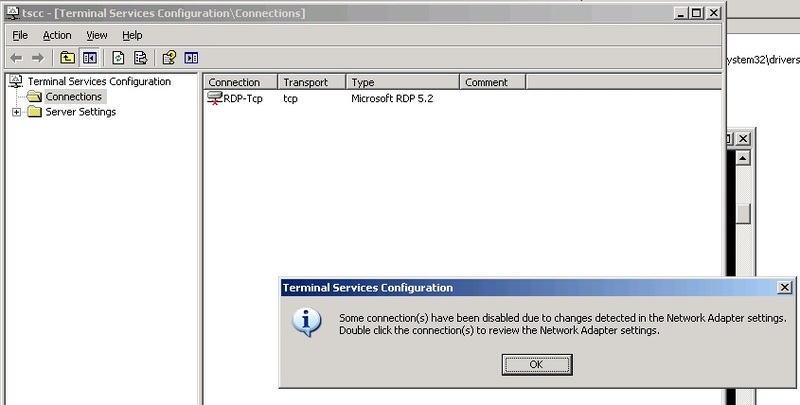 When I selected new adapter on Network Adapter page of RDP-Tcp Properties and Enable RDP-Tcp Connection RDP was again up and running. This was really easy problem to solve, but there was not significant problem written into events or anywhere else.